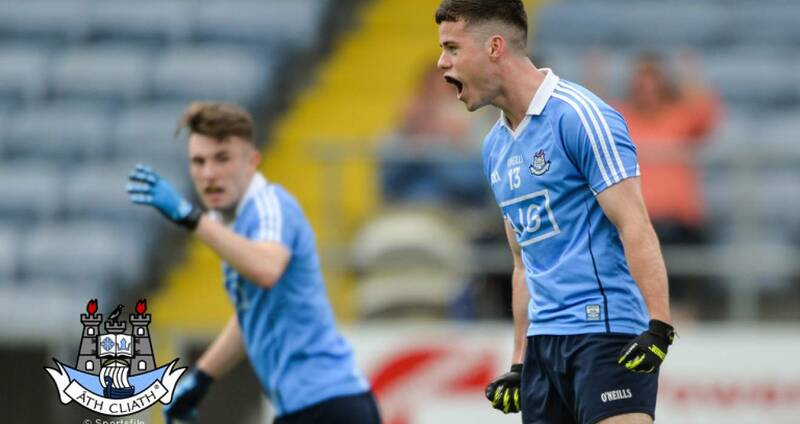 Dublin's under-20 footballers came from in arrears at half-time to run out seven-point victors in Saturday's concluding Group 1 game of their Leinster U20FC round-robin section at Innovate Wexford Park. The Dubs trailed 0-8 to 0-5 at half-time after playing into the wind but set about their task immediately on the restart to top their group following their three wins over Longford, Westmeath and now Wexford and book their berth in the semi-finals on Saturday, June 30. Westmeath will go into the quarter-finals following their victory on Saturday over Longford. Within six minutes of the second half Dublin were on level terms courtesy of points from Seán Bugler, Seán Farrelly and James Doran. A minute later they edged in front for the first time since the seventh minute of the first-half when Cormac Howley split the posts following good work from the influential Doran. Wexford keeper, Ivan Meegan, brought the Slaneysiders level with a pointed free before Dublin were awarded a penalty that O'Brien pointed to make it 0-10 to 0-9 in Dublin's favour with 19 minutes remaining. The crucial scored arrived in the 46th minute when Doran created the opening for Ross McGarry to palm into the Wexford net, Dublin up 1-10 to 0-10. The point scoring of sub Tom Keane played a big role from there to the finish with the Nh Olaf man on target on four occasions with Doran adding the final point of the afternoon. In the opening half Richie Waters opened the scoring for Wexford with a third minute point before Dan O'Brien and Cormac Howley scores had Dublin briefly in front. Points from Richie Waters, Kyle Firman and Seán Nolan propelled the hosts into a 0-4 to 0-2 after 11 minutes before McGarry cut the deficit. But the Slaneysiders got the next three points with Cathal Devereux (two) and a massive 55-metre free from keeper Meegan put their side 0-7 to 0-3 clear. Meegan's scoring heroics were not finished there as four minutes before the break he slotted over from play from close to 55 metres, taking full advantage of the wind for a memorable point. A James Doran free in first half added time made it 0-8 to 0-5 at the interval. SCORERS - Dublin: R McGarry 1-2, T Keane 0-4, J Doran (0-1f) 0-3, C Howley, D O'Brien (0-1 pen) 0-2 each, S Bugler, S Farrelly 0-1 each. Wexford: I Meegan 0-4 (0-3f), R Waters, K Firman, C Devereux 0-2 each, S Nolan 0-1. DUBLIN: D O’Hanlon; C Smith, N Doran, M Mullin; S Farrelly, N Matthews, E O’Dea; D Ryan, E Fitzpatrick; C Howley, K Lynch-Bissett, R McGarry; D O’Brien, J Doran, S Bugler. Subs: J Holland for Fitzpatrick (43), T Keane for Howley (43), C Archer for O’Brien (52), N Nolan for Farrelly (53), R Shaw for O’Dea (58), D Brennan for Lynch-Bissett (59). WEXFORD: I Meegan; D O'Keeffe, M O'Neill, F Roche; D Furlong, R Devereux, G Sheehan; G Lyons, R Waters; K Firman, M Dwyer, R Brooks; C Devereux, J Meyler, S Nolan. Subs: Q Saunders for O'Keeffe (45), J Dunne for Brooks (45), C Walsh for Nolan (56), J O’Leary for Dwyer (59), P Dunbar for Roche (63), J Thomas for R Devereux (63).